Join us on Tuesday nights throughout the summer for delicious home cooked meals, fellowship, and some light hearted discussions on Mark I. Pinsky's book, The Gospel According to the Simpsons with clips from some of your favorite Simpson's episodes with a theological twist. Don't forget your funny bone! 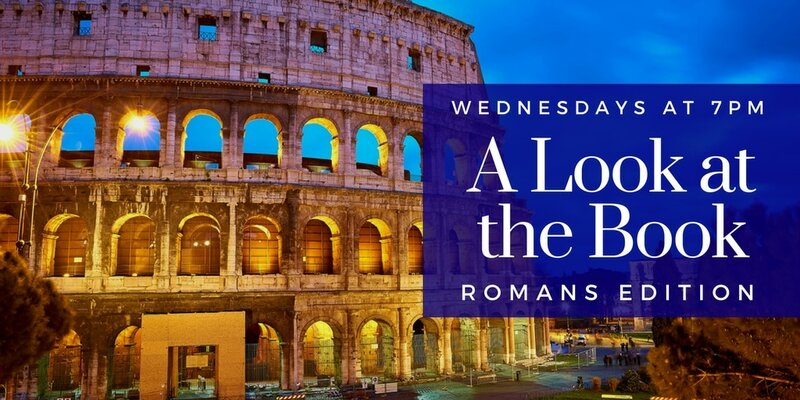 Join us on Wednesday evenings beginning at 7:00PM throughout the summer for A Look at the Book: Romans Edition. ALAB is a traditional Bible study for all levels. Come take a closer look at scripture and develop skills for more thorough and in-depth biblical study. ​Snacks and beverages will be provided.